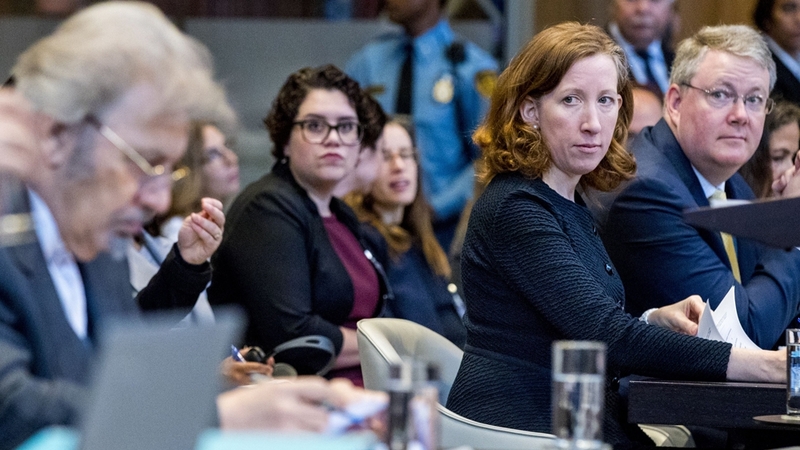 The United States told the UN’s top court it has no jurisdiction to rule on Iran’s demand for the suspension of nuclear-related sanctions recently reimposed on the country. The International Court of Justice (ICJ) in The Hague “lacks prima facie jurisdiction to hear Iran’s claims”, US State Department lawyer Jennifer Newstead argued on Tuesday. During the first hearing of the case on Monday, Iran argued that US President Donald Trump breached a 1955 treaty with his decision to reimpose sanctions after withdrawing from the landmark 2015 nuclear deal with world powers. Newstead said the US has the right to protect its national security and other interests. She said the treaty “cannot, therefore, provide a basis for this court’s jurisdiction” in the case. Sanctions on Iran were lifted under the 2015 accord with the five permanent members of the UN Security Council plus Germany and the European Union. In return, Tehran committed not to develop nuclear weapons. However, Trump said the deal did not do enough to curb the alleged threat from Iran. He pulled the US out of the accord in May and began reimposing sanctions earlier this month. “This case is entirely about an attempt to compel the US by order of this court to resume” the 2015 nuclear deal, Newstead said. On Monday, Iran’s lawyers said the sanctions were threatening the welfare of its citizens and disrupting tens of billions of dollars worth of business deals. The Islamic Republic’s lead representative in the case, Mohsen Mohebi, branded the sanctions “naked economic aggression”. But the US lawyers held Iran to blame for its economic woes. They have “deep roots in the Iranian government’s mismanagement of its own economy and repression of its own population”, Newstead said. The court in the Netherlands adjourned until Wednesday when Iran will have the opportunity to respond to the US’ arguments. 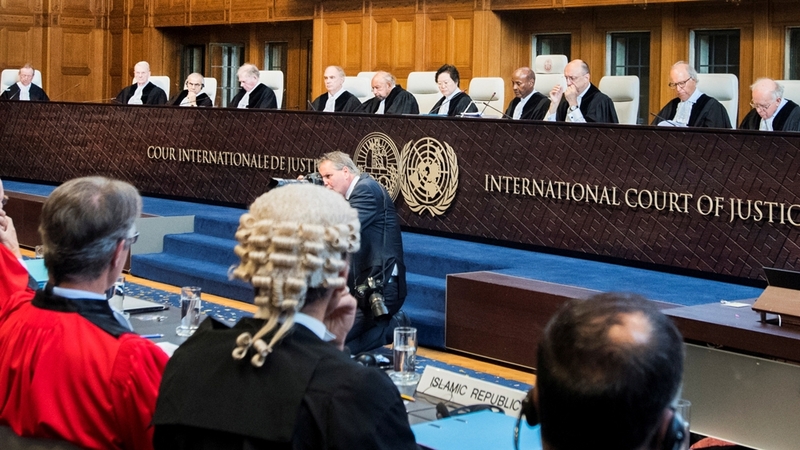 The ICJ is expected to take several weeks to decide whether to grant Tehran’s request. A final decision could take years. Its judgements are binding, final and without appeal, however, it has no power to enforce its decisions. However, whether any decision will be implemented remains unclear. Both Iran and the US in the past have ignored the UN court’s rulings against them.